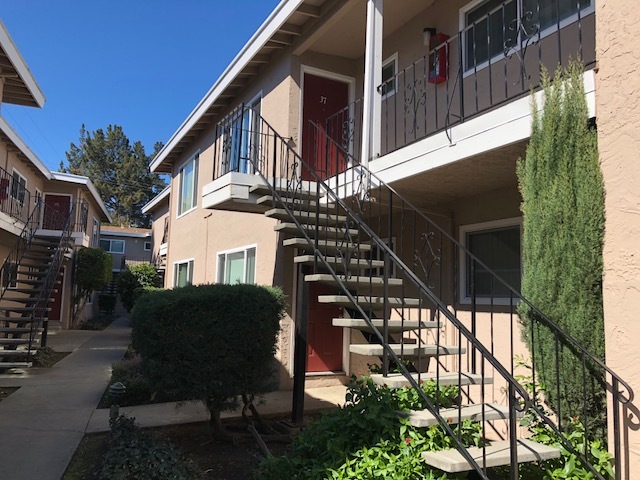 Residents of this West San Jose neighborhood were delighted with the acquisition and rehabilitation of this rundown apartment development that was troubled by social issues. In addition, this public investment prompted additional private funding to rebuild the surrounding community. A precursor to the Strong Neighborhoods Initiative, this former Project Blossom neighborhood allowed residents to receive coordinated City services and assistance. Bridgeport Court is located near Highway 17, Interstates 280 and 880, and next to San Tomas Expressway. The Valley Fair Shopping Center and downtown San Jose are both just a short car ride away. Amenities include kitchen with full-sized appliances, a private landscaped walkway between inward facing units, and on-site laundry facilities. Pacific Plaza Apartments is located in the City of Sunnyvale. Sunnyvale is in a prime location. Within the City of Sunnyvale there is much to offer including shopping, parks, museums, and great schools. The residents of Pacific Plaza can enjoy the convenience of the central location. Pacific Plaza is within walking distance of the Sunnyvale Town Center, Mission College, and Las Palmas Park. Located not more than a mile from Hwy 85, 237 and public transportation. The 38-unit apartment building offers two types two-bedroom units and one bath. This quiet complex offers on-site laundry facilities and assigned tenant parking for the convenience of our residents and great schools. Located off Highway 17 next to the Los Gatos Creek Trail, and just blocks from downtown. The Los Gatos Creek Apartments offers the perfect balance between convenience, private and peaceful living. The twelve studio apartments are perfect for someone who works in Los Gatos or just enjoys the proximity of downtown amenities. Los Gatos Creek Village completed in 2002, designed, and developed by Community Housing Developers. This property offers 100% affordable housing. At over 400 square feet, these spacious studios offer large interiors, walk-in closets, and fully appliance kitchens. There is ample secure on-site parking for tenants & their guests and laundry facilities.